For people that want to exercise, but for one reason or another don’t like running on the road or going to the gym, a compact treadmill is a great option that allows you to workout at home. Most people assume that they wouldn’t be able to afford a treadmill, or that they wouldn’t have space for it, but actually there are some excellent portable treadmills available today at very affordable prices. In this article we’ll provide an overview of options and help identify the best compact treadmill for you. Scroll down to continue reading, or use the table of contents below to jump ahead to the relevant section. 0.1 What is a Compact Treadmill? 1.1 Time to Start your Exercise Journey? What is a Compact Treadmill? As the name suggests, a compact treadmill’s main USP is that it’s compact and much smaller and lightweight compared to standard treadmills. The main aim of a compact treadmill is that it should be portable and easy to store; this is in stark contrast to standard treadmills which are more or less stuck to the spot they’re installed unless you have several strong pairs of hands to move it about. One of the most common features of a compact treadmill is that it’s foldable; it’s this feature which allows it to become compact and take up much less storage space. In fact, most compact treadmills can easily be stored under beds, transported in cars or simply propped up in a cupboard. This allows you to have more room in your living space and the potential to get fitter than ever. A compact treadmill is one of the best pieces of home exercise equipment that you can buy. Running is a really effective way of burning calories, and a compact treadmill allows you to do it in the comfort of your own home, at a reasonable price. so, for most people, a compact treadmill gives you the option of having a treadmill in your living space and in amongst all your furniture. This saves having to dedicate an entire room to your exercise which simply isn’t cost effective for most homeowners. Lightweight – Due to the compact nature of these treadmills, they tend to be small and this is helped by the fact that they can fold up and be stored easily. The main benefit this brings is that they’re incredibly light and can easily be moved and setup by just one person. And, once you’re finished exercising, you can quickly and easily store it away. Inexpensive – Thanks to the minimal weight involved in the materials used in their construction, compact treadmills are much more affordable than their less than compact rivals. This ensures that you get plenty of features for your money, but also have more money left over to dedicate to other areas of your life. Alternative options with similar benefits that you may want to consider are mini stepper machines or a home exercise bike. 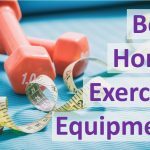 OR check out our in depth article on the best home exercise equipment here. A short run first thing in the morning, followed by a healthy, low calorie breakfast is a powerful way to start your day. 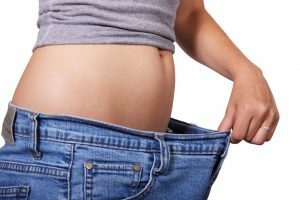 You’ll feel great that you’ve exercised already, and that you’ve eaten a healthy meal, and that positivity will stay with you throughout the day and keep you motivated in your weight loss journey. 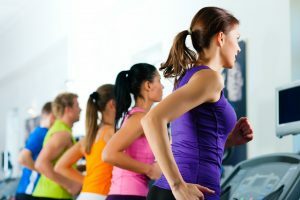 Running is a fantastic way to burn calories, but surely those standard treadmills – with their powerful motors and seemingly endless features – burn more calories than a compact treadmill? Well, you may be surprised to learn that a compact treadmill burns exactly the same amount of calories as a standard treadmill. Running is, after all, running, be it on a treadmill or on a road, so running at 6mph for 20 minutes should burn around 229 calories. If you want to increase the intensity of your workout, you could think about wearing ankle weights. 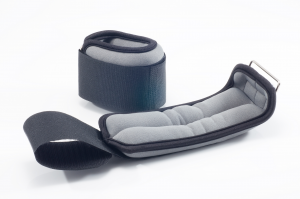 (Check out our post on the best ankle weights here). You’re probably intrigued by the prospect of a compact treadmill now, but how exactly do you choose from the vast number available? It’s not an easy decision to make particularly with the wide range of features and options available. 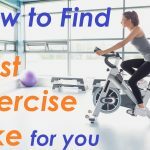 There’s also the fact that not every treadmill is necessarily right for everyone, we all have our little quirks and foibles, so it’s crucial that you choose carefully to get one that works for you. The LifeSpan TR200 is keen to help you get to grips with your health and your running courtesy of its wide range of features. Contact heart rate grips help you to keep an eye on your cardio activity whilst the LCD console helps you monitor not only all the calories you burn, but also your speed, distance covered and the current incline setting. Talking of inclines, the LifeSpan TR200 gives you three incline programs to choose from alongside three speed programs to really test your running skills. As an added luxury, this compact treadmill comes with in-built speakers and a headphone port for your favorite tunes and it’s a foldable treadmill which can be stored almost anywhere. What’s particularly fantastic about the LifeSpan TR200 is that it’s very easy to assemble; all you need to do is unfold it and lock all the parts in place without the use of a screwdriver. And, taking the compact concept to its very core, it’s still light enough to be taken in and out of storage without the risk of suffering a bad back, so it’s perfect for both men and women. The SF-T7632 treadmill by Sunny Health & Fitness is perfect for those who want to get healthy, but save space at the same time. Thanks to the compact belt surface, the SF-T7632 is more than capable of letting people of most shapes and sizes run to their hearts content and the foldable capabilities combined with transport wheels makes it easy to store and transport. The features of the SF-T7632 are where this compact treadmill really shines though. With running speeds of 0.5mph up to 7mph, this is a treadmill that can pose a challenge for runners of all abilities and leaves plenty of potential for making progress as you gradually increase the speed. And you’re able to easily monitor the calories you burn as well as your speed and distance covered on the blue backlit console screen. The size of this compact treadmill is very impressive and it weighs only 30lbs, so it’s easy to transport and can be moved by people of all ages. And, unlike other standard treadmills, the SF-T7632 has a motor which runs very quietly to ensure you don’t irritate other family members or neighbors. Merax’s JK1603 compact treadmill is perfectly sized to allow you to exercise wherever you want and manages this by marrying a foldable design with wheels to deliver a space saving and easily transported treadmill. Capable of supporting weights up to 220lbs, the JK1603 should provide a safe bout of exercise for a wide range of people. Keen to tap into the contemporary desire for monitoring health and performance, the Merax JK1603 displays your time, speed, calories burned, distance and heart rate on its LCD display. 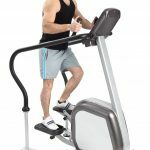 And, in order to improve and challenge your performance, this compact treadmill comes with three in-built workout programs along with three incline positions for the running belt to really test your endurance. Considering the amount of features included with this treadmill, the price is very appealing and ensures you get plenty of value for your dollar. Despite the numerous features, the JK1603 is also very easy to assemble and you should be up and running within 20 minutes of taking it out of the box, so this is another huge plus. Finally, it’s a very well built piece of machinery and can easily absorb impact, so should last for a long time. This narrow treadmill by GoPlus is just perfect for saving space and is well suited to those looking to indulge in gentle exercise rather than marathon training. With a number of speed options available (from 0.5mph to 6.5mph), it’s a treadmill which will challenge you, but not leave you at the risk of a high speed slip and is, therefore, perfect for beginners. Helping you turn your home into a personal gym, the GoPlus treadmill has a detailed LCD console to help you easily adjust your speed and choose different intensity programs all whilst displaying vital data such as speed, distance and calories burned. There’s also an emergency stop tag which can be pulled to instantly stop the machine if you run into any difficulties and provides a healthy dose of peace of mind. With holder sections for water bottles and tablets, the GoPlus treadmill is perfect for those who are looking for a comfortable setting for their exercise. 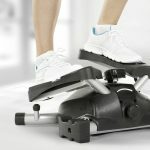 And, due to the relatively low weight of the treadmill (it clocks in at just 59 pounds), it can be moved easily from place to place without the risk of injury. This compact ethos also translates into the machine’s foldable design which allows you to store it practically anywhere and is perfect for those looking to save space. The HBS folding treadmill is a simple piece of kit, but very effective at ensuring the user gets a fantastic workout. With adjustable speed options, the user can be guaranteed of testing their running abilities and having a say in the intensity of their workout. A highly cushioned design and running belt allows a user weight of up to 250 pounds, so it’s a highly popular option for a large number of people. The running deck, itself, actually helps to provide a highly comfortable run as it helps to support ankle, back and knee joints due to its cushioning system; it’s perfect for those worried about potential injuries or those older athletes who want the peace of mind that they can exercise without causing their joints any long-term damage. Safety is paramount to the HBS folding treadmill and its features continue with the secure handles to provide balance and stability whilst the emergency stop feature allows you to instantly terminate the running belt if you literally run into trouble. The treadmill also folds up, so for those who are lacking in space, it provides a viable option to exercise at home without disrupting your furniture. Time to Start your Exercise Journey? 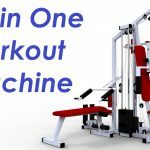 Hopefully the information about will help you to decide which is the best compact treadmill for you, and will set you on the path to a healthier future. 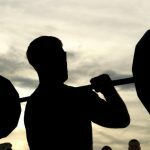 Working out at home is an excellent way to start increasing the amount of fitness in your life, as you don’t have the hassle of going to the gym, and you don’t have to muster up the will power to overcome poor weather conditions. Aiming for the recommended levels of activity (i.e. 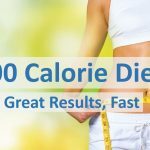 10,000 steps per day, or 30 active minutes) will certainly stand you in good stead, and combing it with a healthy diet will ensure that you see results really fast.